Leaving the Armed Forces impacts both the family and Service leaver. 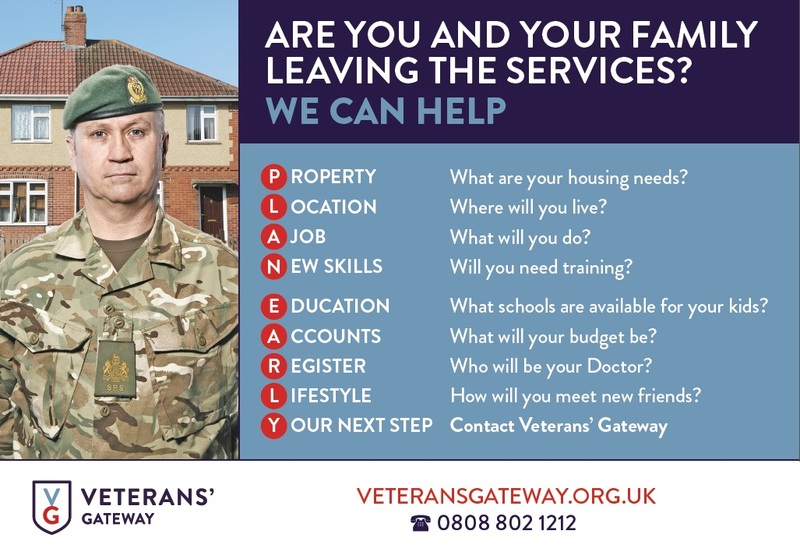 The sooner you can think about your life on civvy street (housing, finances, employment, education, physical health and mental wellbeing) the better, and preferably plan early before leaving the Armed Forces. Many people who leave the Armed Forces don’t have enough information about civilian life and planning a life beyond the forces, as reflected by the statistics below from the transition survey conducted by the Family Federations. 72% don’t know where to go for spousal employment. 51% don’t know where to go for welfare services. 40% don’t know where to go for health advice. 33% don’t know where to go for education advice. 29% don’t know where to go for housing advice. 33% leave knowing they’ll be worse off financially. 66% thought quality of life would be better after transition. The three Families Federations - Royal Air Force Families Federation, Naval Families Federation and Army Families Federation - are independent from the Services and support serving families throughout their military careers. They provide information and advice, gather evidence, and represent them to policy makers and chain of command. As part of their commitments to the Armed Forces Covenant, Local Authorities will all have appointed ‘Armed Forces Champions’ who act as a point of contact for serving and ex-Service personnel and their families looking for information and advice on housing. The Joint Service Housing Advice Office (JSHAO) helps service leavers assess their civilian housing options and provide guides and materials covering all aspects of housing after leaving service. If you are thinking about buying, consider doing this well in advance of leaving. The Forces Pension Society roadshows provide financial advice at events held at military bases. MoneyForce provides money advice to help you better manage their money. Citizens Advice is a great source of information on all things money no matter if you’re part of the Armed Forces community or not. Lifeworks for Families, Recruit for Spouses and RFEA Families Programme are spousal employment services that provide advice and support to spouses who are looking to gain employment. The Families Federation will launch a new spousal employment platform called Forces Families Jobs in late 2019. Contact your local authority for school places – engage with them early and they’ll explain the process to you. The Children’s Education Advisory Service (CEAS) can help while you are still serving and offer a range of help and advice, including for special educational needs. Service leavers have a range of courses and personal development options as part of the resettlement process. You should discuss your options with station education staff. Anyone under the care of Defence Medical Services will need to find and register with a new doctor and dentist. The NHS can help you access services. Unit welfare staff can advise on access to mindfulness and mental health support services. The British Army provides an ‘emotional pathway’ guide exploring some of the ups and downs that can be experienced after leaving the Armed Forces. This is valid for all services. Veterans’ Gateway provides a range of information about mental wellbeing and physical health. Read our Transitioning out of the Armed Forces FAQs.